Tamil Nadu SSLC Result 2019 will be announced by DGE Tamil Nadu. The Tamil Nadu board conduct this SSLC (10th board) examination every year in the month of March. This is the state board of Tamil Nadu and various schools of Tamil Nadu are affiliated to it. The candidate will be able to check their result here also. Check the details regarding the Tamil Nadu SSLC Result 2019 here on this page. The Tamil Nadu SSLC Result 2019 will be declared in the month of April 2019. The result is declared by the DGE Tamil Nadu, the exam official authority who conducts this examination every year. The candidates who will appear in Tamil Nadu SSLC Annual Examination 2019 can check their result here also. The direct link to check the result will also be provided below for the candidates. 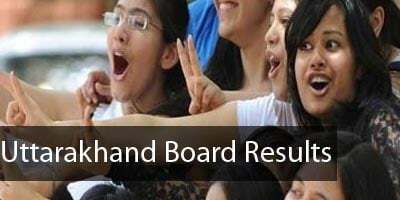 Result: Tamil Nadu SSLC Result 2019 will be available here. Tamil Nadu SSLC Result 2019 – How to check? The Result of Tamil Nadu SSLC 2019 will release in the online mode and, therefore, the candidate can easily check the same by using the steps which are provided here. The candidates are required to refer the link which is given in the post or the candidate can use the official link. There the candidate needs to find SSLC March 2019. Click the link to proceed. Put the registration number and date of birth. Now, click on ‘Get Marks’ button to view the Tamil Nadu SSLC Result 2019. Take a hard copy of that online result page. Note: Neither NIC or the DGE is responsible for any inadvertent error in the result declared on the internet. If the candidate is not satisfied with the declared Tamil Nadu SSLC Result 2019, the candidate can apply for re – checking procedure. This facility is available after the declaration of Result. The candidates are required to apply within the limited time duration. Applications after the last date will not be entertained. The candidate must have to pay fees (Last year Fees was Rs 175) along with re – checking application form. Applications will be available just after the declaration of Tamil Nadu SSLC Result 2019. It is required to submit the application form before the deadline. It should be noted that this facility will be available only for a short duration of time.